Many people leave their homes to visit family and friends over the holidays. Because criminals know this, burglaries tend to increase during this time of year. Keep your home safe during the holidays with just a bit of thought and sensible planning. 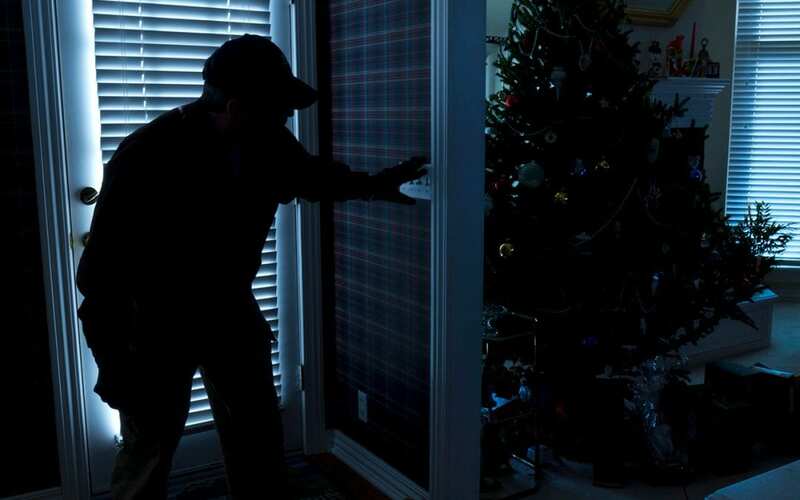 Let’s look at six ways you can increase home security before your holiday travel. Surprisingly, 30% of burglaries happen through an unlocked door or window. It’s simple to lock all your doors and windows before going out of town, yet if just one is forgotten, you’ve given a potential thief easy access to your property. Double check the locks on all points of entry in your home before you leave for the holidays. It has become second nature for many to share what they are doing with their online social media groups, including mentioning travel plans. What they may not realize is that their social media feeds are not totally private. Burglars often monitor various social media channels to see when people might be away from home, so it’s best not to broadcast this information online. Burglars don’t like people to see what they are doing. They look for homes with overgrown shrubbery that gives them places to hide while breaking into your home. The easiest way to prevent this is to keep the shrubs trimmed back so the areas around your home are clear. If you don’t have a security system already, now is a great time to invest in one. You can have a security company install one or you can buy a system and install it yourself. Many modern security systems are connected with an app on your smartphone so that you can monitor the footage remotely and receive alerts. Take a walk around your home after dark one night. How many areas can you find where there is no light? Each of those spots is a place where an intruder could hide. Adding motion sensor lights around the perimeter of your home will help illuminate these areas and startle anyone creeping around your property. If you are going to be away, you want to give the impression that someone is at home. You can do this with light timers that turn indoor and outdoor lights on at different times. An even better option is to upgrade your home with smart technology to keep your home safe during the holidays. You can control the lights remotely or have the app do the work for you. These methods will help your peace of mind while you are away from home this holiday season. Appalachian Inspection Services wishes you safe and happy holidays!